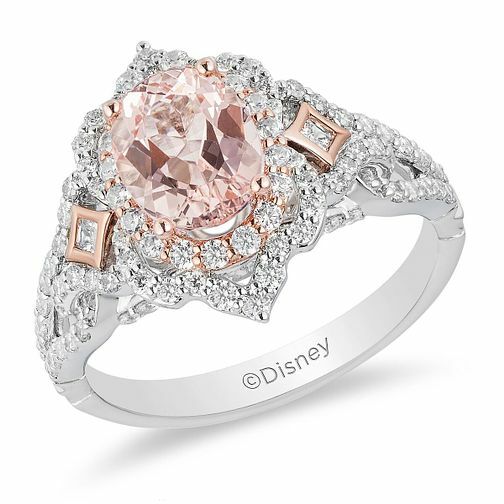 As part of the Enchanted Disney Fine Jewelry collection, this elegant diamond ring seeks inspiration from the sleeping beauty princess Aurora. Crafted in stunning 9ct white gold, this divine ring presents a sparkle from head-to-toe with set diamonds. A gleaming round morganite centrepiece is complimented with 9ct rose gold accents upon the fancy shoulders. The total diamond weight of this beauty is 0.75ct.